President Obama has designated 1.65 million acres in Southeastern Utah and Nevada as National Monuments, protecting the land from private development and granting the federal government broad control to protect it. The new monument includes Bears Ears Buttes in Utah, and Gold Butte near Las Vegas. There’s a reason Obama picked these sites: They’re both culturally significant to local Native American tribes. Five tribal governments had asked for Bears Ears’ protection, due to its ceremonial sites and rock art. 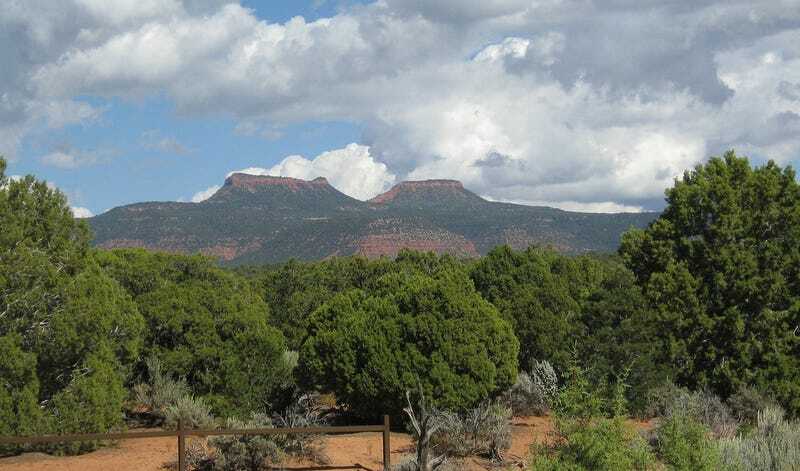 The president’s proclamation also creates a Bears Ears commission to protect the monument, with the specific goal of ensuring that the tribes themselves can offer their guidance on how to protect the area. The same goes for Gold Butte, which contains “abundant rock art, archeological artifacts, and rare fossils, including recently discovered dinosaur tracks dating back hundreds of millions of years” but has also faced vandalism, according to a White House press fact sheet. Obama had already protected over 550 million acres of land and sea under the Antiquities Act. Signed into law in 1906 by Theodore Roosevelt, the law allows the President to create National Monuments by proclamation without needing the approval of congress. Obama has now used the law 29 times to expand or create protected area during his presidency—morethan any other president. There are angry people. Some Republican legislators see these decisions as federal seizure of state land, and hope to repeal the President’s decisions once Donald Trump assumes power on January 20. Plenty of people would prefer that land to themselves or their states. This past year, a militia led by Ammon Bundy took control of federal land at Malheur National Wildlife Refuge in Oregon, upset that the federal government and not the people controlled the large swath of land. (Also, a bunch of people sent them dildos as a joke). It seems unlikely that anyone will dismantle these federal properties, though—there isn’t an authority to simply unprotect the land, according to The High Country News. But who knows, at this point. Protecting Native American land seems like a good thing—if you remember correctly, we’ve already seized nearly all of it from them. But it’s likely that we’ll hear more about these monuments as the new administration enters the White House. Correction: This article originally said the monuments were in Southwestern Utah and Nevada. They’re actually in Southeastern Utah and Nevada.